Mike Kopecky comes by his love of mid-century modern architecture honestly. With a father in the U.S. Air Force, young Mike spent the 1960s in military housing and admits that the “small, very stylish” Capehart homes “imprinted” on him at an early age. “I did not understand it at the time, but I loved our house and I loved the way it was put together and the size. And mom will tell you the fit I pitched when we moved off base,” the Austin, Tex., resident says in a phone interview. 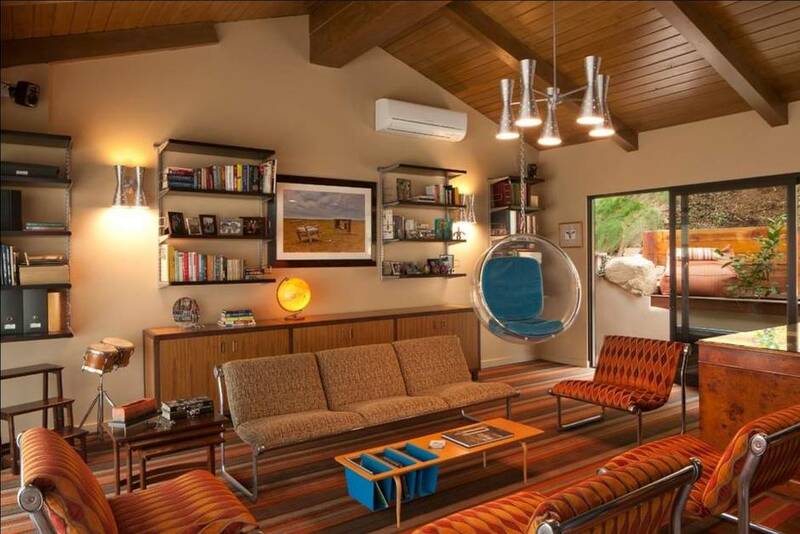 A typical Mid-Century Modern interior, this one a home in Houston, Texas. Mr. Kopecky's project is planned for nearby Leander. Another Mid-Century Modern, this one in Las Vegas. So, after his three-decade career in the Air Force ended, the 51-year-old approached his father, who had been buying and selling land since his retirement decades before, to discuss a 5.7-acre parcel in Leander, Tex., a bedroom community north of Austin. Although the younger Mr. Kopecky had dabbled a little in real estate also – a few house-flips and one from-scratch build with his wife – he had an idea: situated just four kilometres from a light-rail stop that whisks commuters downtown in an hour or less, Mr. Kopecky realized that a small subdivision here would appeal to young, hip professionals looking for affordable homes that weren’t the standard “real estate beige,” as he puts it. Given the growing interest in retro-Modern architecture, it’s a development Toronto builders may want to take note of. Mr. Kopecky had witnessed copies of mid-century magazine Atomic Ranch fly off the shelves at his local bookstore, and he’d heard of renewed interest in Austin’s Crestview neighbourhood, where 1,200-square-foot, postwar fixer-uppers were going for $350,000 (U.S.). So, he was confident that applying 1950s’ styles to a development of 30 homes – christened Starlight Village – would result in folks snapping them up like so many Chevrolet Bel Airs. His biggest hurdle, however, was persuading Leander City Council. The city requirement that dwellings contain 85 per cent masonry, for instance, would never fly, as true MCM homes require expansive, floor-to-ceiling windows and a mix of cladding materials, such as wood siding or cement board. 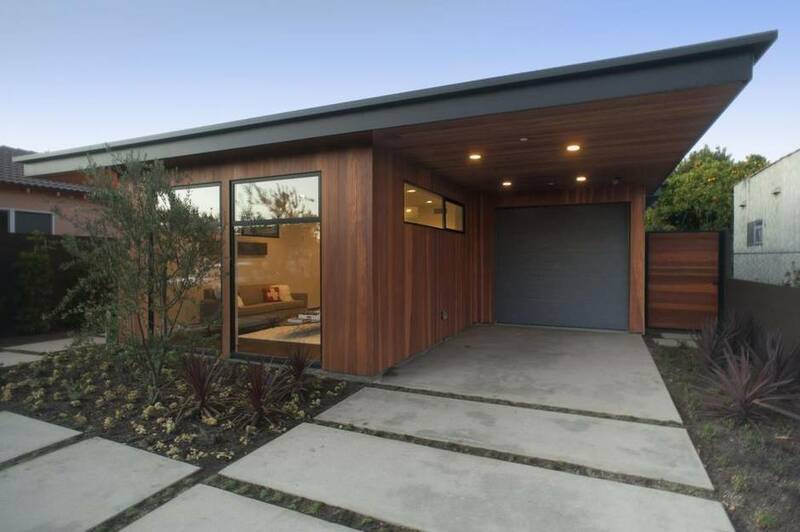 Special permission would be required to feature carports rather than enclosed garages, and, perhaps most importantly, to offer smaller-than-average floor plans (most homes in Starlight Village will be 1,300 sq. ft., with a few smaller and a few larger) as well. Approval was granted on Dec. 4, 2014, and architect Sean Eubanks of Woodhill Studios of Millican, Tex., was brought on board. An early rendering of one of Mr. Kopecky's homes, this one the 1,300-sq.ft. model. Another Starlight rendering, the 1,500 sq. ft. Butterfly model. The builder stresses that these are early renderings and many alterations are expected. For instance, the renderings show generic door shapes which are in the process of being upgraded; there is also more work to be done developing the look and feel of the windows. While paying homage to the iconic shapes Mr. Kopecky had admired in Atomic Ranch as well as a book on the Case Study House Program – “They thought nothing of being a three [bedroom], one [bath] back then,” he says – the designs will bring the houses firmly into the 21st century. Currently being finalized are floor plans featuring at least two bathrooms (even in the smallest model), nine-foot ceilings, and big fireplaces so homeowners won’t “feel out of place” if they don’t have Mad Men-style furniture, while exteriors sporting skinny strips of clerestory windows, stonework, and post-and-beam rooflines will be as familiar as June Cleaver’s smile. If this all sounds vaguely familiar to regular readers of this space, I’ll remind you of column I wrote in February, 2005: “Why aren’t small, stylish houses being built?” In it, I challenged local GTA builders to take inspiration from some 1950s and 60s Canadian Mortgage and Housing Corp. illustrations and build a development of 50 to 100 homes featuring floor plans in the 1,200-to-1,700-sq.-ft. range. I argued that, if marketed properly like the then-new, very retro Mini Cooper, they’d sell like hotcakes. While Minis have sold like hotcakes in the decade since, sadly no builder has come forward. Perhaps, like with many things in Canada, it will take Mr. Kopecky’s successful American idea – and it will be successful, with homes starting at less than $200,000 – to embolden a Toronto builder. After all, not everyone’s idea of a starter home is a downtown high-rise, and the MCM craze is still going strong. “One of the things I wanted to capture is the optimism of that period,” Mr. Kopecky says. “They didn’t do ironic: It’s the 1950s, we’re going to build rocket ships to the moon; no one’s ever done that.